Hello CP friends! So excited to be back here in 2017 to share with you what I have created with the latest collection by Maggie Holmes, "Chasing Dreams". I love the tropical and all the fun adventure elements on this one. And YES, the vibrant colors too! I'm a HUGE fan of big floral patterns. Whenever I see them in any of the Crate Paper collection, I will get all excited! 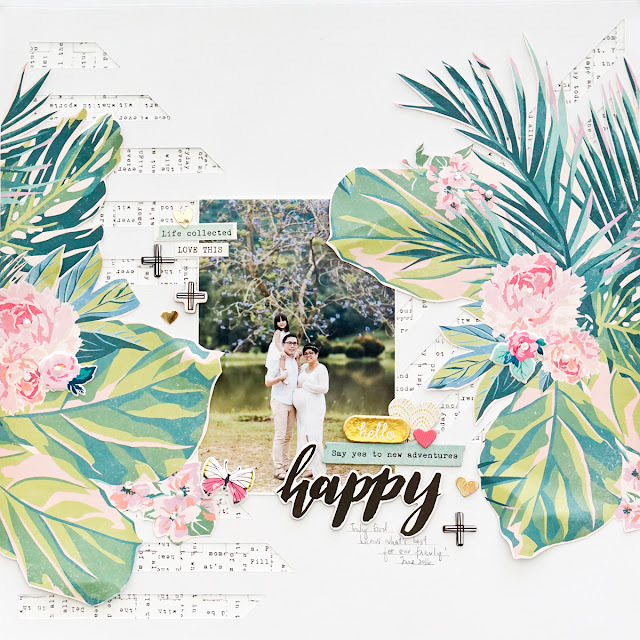 I knew that I had to feature this beautiful tropical leaves and flowers on my layout. Fussy cutting has been one of my fav techniques. Mixing and matching patterns are one of my fav things to do as well. I really love using shapes on my layout and decided to use thick lines that I pre-cut using Silhouette at the top and the bottom of my layout. That balanced up the heavy overall look on the layout. 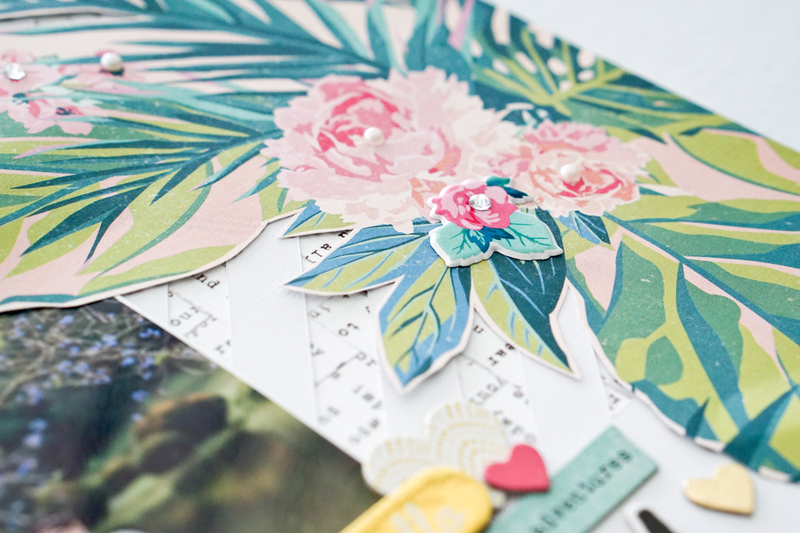 I also chose script looking patterned papers, simply because I love how they looked against the bright floral. It gives a delicate and classy look. Pleasing to the eyes too. Foam dots are one of my favourite supplies. 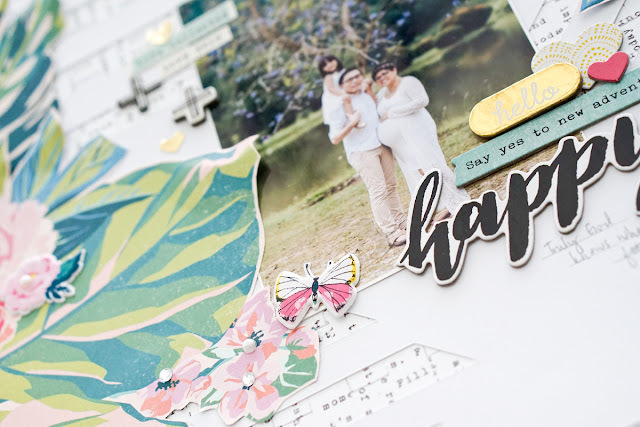 By adhering behind your fussy-cut elements, it instantly creates a dimension. 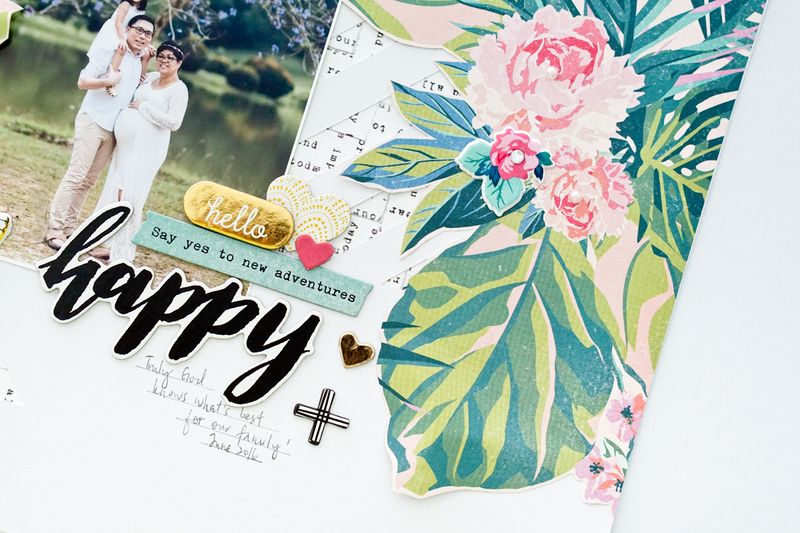 By adding the puffy sticker onto the fussy cut floral. That sure gives fun texture and depth to the layout! The possibilities are just endless with this collection. 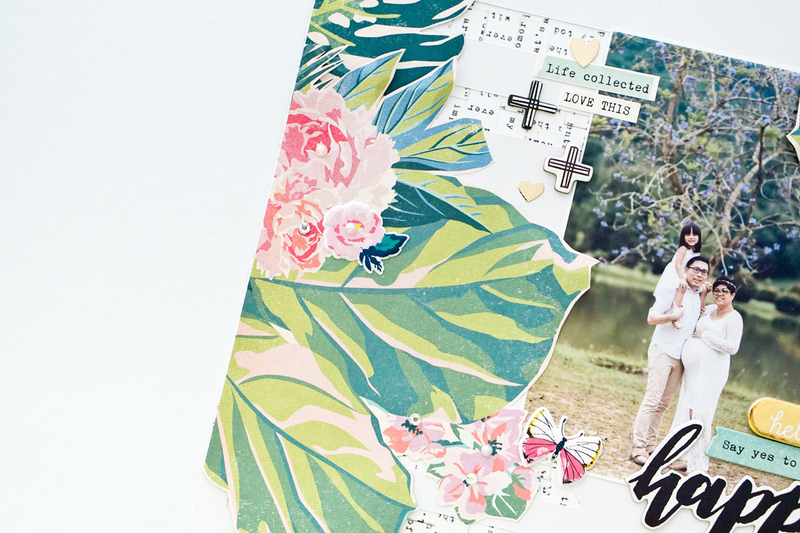 I can totally use Chasing Dreams with the rest of the Crate Paper collections. Seriously, that's the best part!